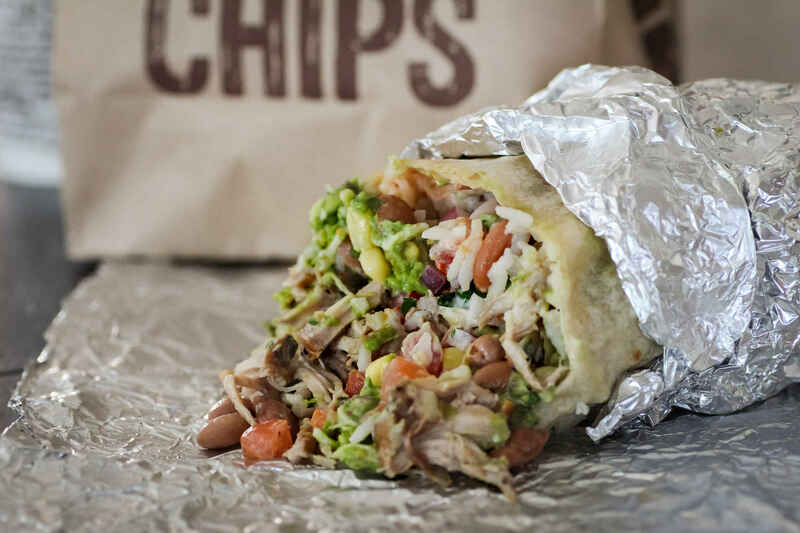 Just over 13 years ago (4,869 days to be exact), I fell in love—with Chipotle burritos. Their size, their shape, their spice: all of it. Our first date was on May 25, 2002 in Fort Collins, CO, and I think every month since then, on average, I have enjoyed a chicken fajita burrito with corn salsa and some other garnishes. That’s around 160 burritos or $1,100 worth. If you prefer to measure in calories, that’s around 175,000 … but who’s counting? If you’ve been to Chipotle in the last week, you might have noticed that they are holding a competition. It’s related to the “cultivating thoughts” series which is displayed on the side of soda cups and to-go bags. If you don’t know what I’m talking about, imagine a short story or thoughtful reflection, say 300 words or so, by a popular author. These words stare at you while you eat just begging to be discussed. Now, back to this competition. It’s called the “Super Short Book Report Sweepstakes.” To enter, you must write—you guessed it—a super short book report for one of the entries in the series. And when they say “super short,” they mean it: just 103 characters. Maybe you’d like to contribute your own report. You can do so here, but you’ll have to hurry. The competition ends tomorrow (9/23/2015). It is the simplest ritual of my noondays: A square of dark chocolate, little larger than a postage stamp. For its minuteness, I savor it all the more, closing my eyes as it melts gently, generously, in my mouth, as softly exquisite as a kiss. Always, I think, I am grateful. In my mind, I follow my chocolate to its beginnings. I see a drop of rain touching red soil, and beneath, a seed waking. Leaves reaching for sifted sunlight. Careful, sure hands unclasping fruit from limbs. A kind donkey pulling a laden wagon. Wise faces bent over an ocean of seeds, summoning sweet from bitter. Roads and rivers and cunning machines that bear the chocolate to me. Someone built that wagon; someone cut that road; someone labored under a beaded brow; someone heeded an inspiration; someone offered love. How wondrous is a world that brings such gifts. In my little ritual I am connected to that sunshine, those hands, that river, the beautiful alchemy that unites so much in a square of chocolate. A drop of rain that falls on the other side of the world, in a place whose language I may never hear, becomes sweetness on my tongue, thankfulness in my heart, words spilling from my pen, and perhaps a thought, however fleeting, in the mind of whoever reads them. We are none of us bereft, ever. We slumber in seas of gifts. To wake up to them, to follow their tributaries, is to traverse in every direction, yet always arrive at the same place: Gratitude. Awakening from my chocolate, I look about and wonder: Whose hands made this? To whom do I owe thanks for the song of a wren? For the warmth of a sweater, cool grass under bare feet, the joy of dogs playing, laughter, a whispered I love you, the scent of bread? There is a lot that I love about these 319 words. I love the concreteness: a square (not a piece) of dark chocolate (not just chocolate); a drop of rain (singular) touching red soil (not the earth or ground); leaves reaching (they are not passive, they reach) for sifted sunlight (sifted implies a forest above); and so on. And I love the idea of ritual, a word she uses twice. The ancients would climb high mountains to worship, and some of us still do; Hillenbrand eats a postage stamp of dark chocolate. And I love the way she invites us to view this universe of beneficent activity that is required for mass produced chocolate: seeds, rain, sun, a kind donkey pulling a laden wagon, and oh, speaking of the wagon, “someone built that wagon; someone cut that road; someone labored under a beaded brow.” Indeed they did. And I love the frequent, but not overdone, alliterations (e.g. melts gently, generously… sifted sunlight… seeds, summoning sweet... Roads and rivers…). There are other things I love, but the essay is missing something, something important. Did you notice it? I tried to bring this out in the “super short book report” which I submitted to Chipotle for the competition. LH’s ODE TO CHOC explores the many tributaries that bring us gifts but misses Who is at the headwaters. I look about and wonder: Whose hands made this? To whom do I owe thanks for the song of a wren? For the warmth of a sweater, cool grass under bare feet, the joy of dogs playing, laughter, a whispered I love you, the scent of bread? Hillenbrand doesn’t answer her rhetorical questions, but the Bible does. James writes, “Do not be deceived, my beloved brothers. Every good gift and every perfect gift is from above, coming down from the Father of lights with whom there is no variation or shadow due to change” (James 1:16-17). Look, I love Chipotle, I love chocolate, and I love authors who use words well. I’m thankful for these gifts, and a billion others, but what happens when we don’t locate our gratitude where we ought to? What happens if, like Hillenbrand, we don’t thank the right person? Consider a student who received a full scholarship to college from a generous donor. Sure, this student should be thankful towards the school and the professors, the authors of his textbooks, the factory workers that produced them, and the trees that became paper. Of course, the student should be grateful for these. But at some point, you ought to thank the person who paid for your scholarship, the one who made the whole experience possible. But my analogy is not strong enough; what if the person who gave the scholarship was also responsible for the knowledge of the professors and the production of the textbooks and the forests of trees and the rain that waters them and the workers and machines that cultivate them? Now we are back at the central issue: ultimate gratitude to the One ultimately responsible. Hillenbrand speaks of how “we slumber in seas of gifts,” but we might press the metaphor further: we are dead, and need more than the smelling salts of gratitude to awake us; we need resurrection. That’s why I also love the Gospel of Jesus Christ. I love the gospel because God provides a way for sinners who misplace their gratitude to be forgiven, and for forgiven sinners to know Who is at the headwaters drenching us in delight.